There's a really exciting scene bubbling up in Bangladesh right now with a lot of truly potent bands cooking in the underground and it's only a matter of time before one of them breaks out of the mold and crafts something truly life changing. Exalter have the potential to be that band, with their new release, the punishing Persecution Automated a thrilling ten track ride through thrash metal reminiscent of the titans in bands like Kreator and Sodom with more than a few touches of Annihilator along the way. 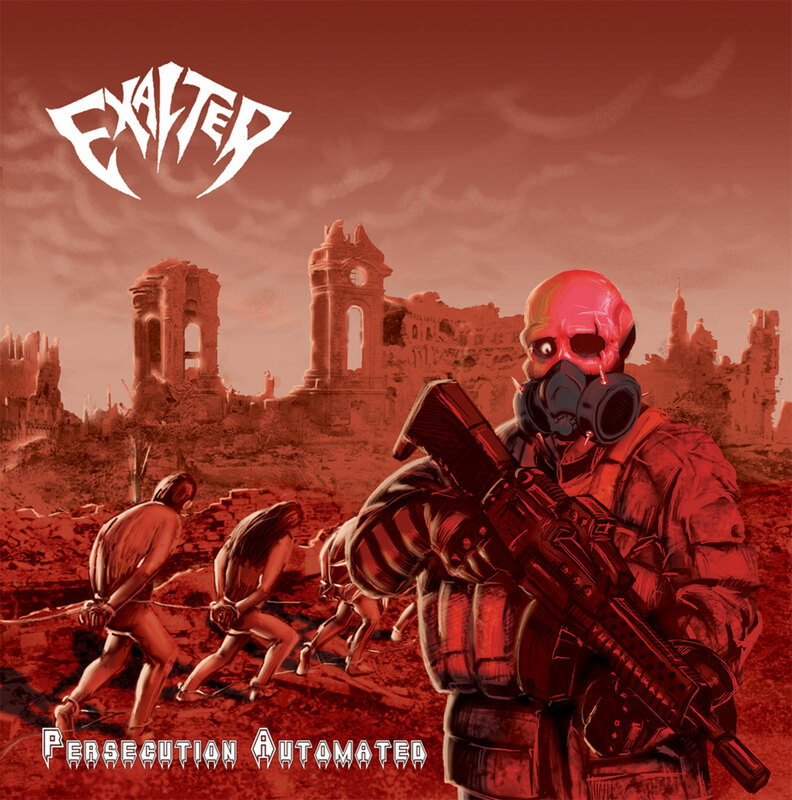 Wonderfully rough and stripped down, at times to a fault, Exalter conjure up forgotten images of the original roots of thrash metal. Sure the music is frequently raw as a nerve but that's a huge part of why I love this band. They represent an influential and powerful force in a burgeoning music scene. The way they blast forward, spitting in the face of expectation and consistently reminding us of the inherent magic of this scene is addictive. Exalter push over the top and are the sort of thrilling that you can't help but want to sink your teeth into. There is a very real manic energy that makes Persecution Automated much more interesting than most of their western peers. Sure Exalter may come from a little bit off of the beaten path, but that's a huge part of the appeal. They are breaking all the rules and cracking skulls with delicious riffs that pay tribute to the forefathers of the genre, many of whom faced the same limitations these guys deal with. It gives Exalter the same transcendence, that even out of an unusual scenario truly great and meaningful art can arise. There is something endlessly fascinating about this record and I will be coming back to it again soon.